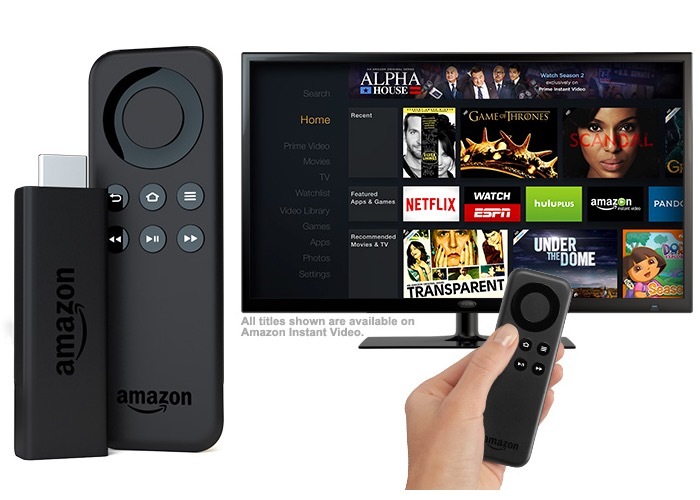 Amazon have this week started shipping their new Amazon Fire TV Stick which was unveiled last month and has been designed to compete with the likes of the Google Chromecast. Unfortunately Amazon has only started shipping those Amazon Fire TV Stick units that have been pre-ordered since its unveiling and if you are to place an order today Amazon is listing a shipping date of around January 15th 2015. The Amazon Fire TV Stick offers four times the storage and two times the memory of Google’s Chromecast streaming device, and is powered by a dual core processor supported by 1GB of memory. “Fire TV Stick connects your HDTV to a world of online entertainment. Whether you’re a Prime member or not, enjoy a huge selection of movies and TV episodes, voice search that actually works, and exclusive features like ASAP. Fire TV Stick is an easy way to enjoy Netflix, Amazon Instant Video, Hulu Plus, low-cost movie rentals, live and on-demand sports, music, photos, games, and more. For more information on the new Amazon Fire TV Stick and to purchase for $39 jump over to the Amazon website for details via the link below.